Refurbishing an old property is difficult enough without spending hours trying to restore the original beauty of aged stone floors, and marble and ceramic tiled surfaces than have become dull and lifeless. Ceramic tiles and marble worktops and floors may appear to have lost their luster and shine, no matter how much you scrub and clean, and it may seem that replacing them is your only option. 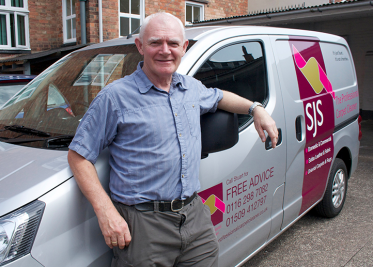 But SJS Carpet Cleaning have a special solution and machine that will restore all stone and ceramic tiles and marble surfaces to their original shine and glory. In a Victorian or Georgian property, the original stone or ceramic tiles may not be available and brand new modern tiles would look out of place with the original décor and style. Old Farmhouse Kitchens will also look better if you can restore the beauty of the original stone or marble floor and worktops. It would be a shame to remove all that history and character from the property needlessly. So before you call in the Kitchen fitter and visit the tile shop; why not call us first to visit and look at the surfaces to see if we can refurbish the original surfaces and bring back their showroom shine, at less than a tenth of the cost and time needed to replace them completely. We are based in Leicester and Loughborough and cover all Towns and Villages in the surrounding areas.